The ALM CH012 Grass and Hedge Trimmer safety kit comprises of ear defenders, metal mesh face shield (guard) and one pair of non slip gloves. For use with all electric and petrol trimmers. 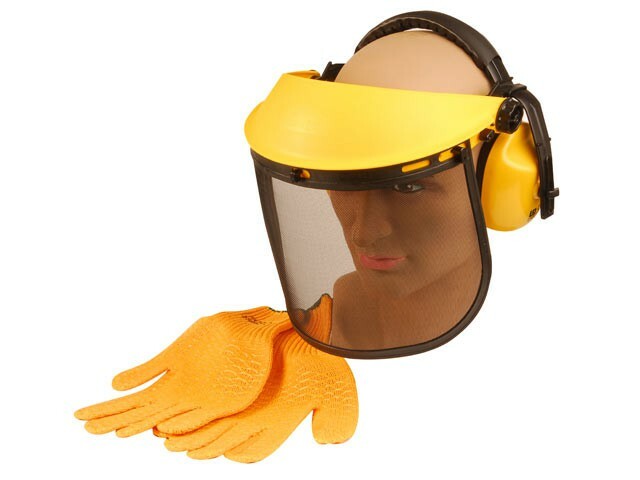 Ear Defenders: EP106, EN352-1, ANSIS3.19. Visor: ANSI 287.1, EN166 3B.